Hopevale (which means ‘Valley of Hope’) is a small rural community in the mountains of Capiz province on Panay island (Visayas region of the Philippines). Last Fall they experienced a number of small earthquakes that led to tension cracks and the threat of landslides throughout their community. As a result, the community was forced to leave their homes and rebuild their community in a new location. Last week a Short-term Mission (STM) team made up of eight individuals from Kingston Baptist and Midland Baptist in New Brunswick made the long journey to Hopevale to walk alongside the community of Hopevale as they continue the work of rebuilding their homes, church, and community. Canadian Baptist Ministries (CBM) believes that STM’s provide individuals with the opportunity to SERVE and LEARN through a cross-cultural ministry or global discipleship experience. STM participants have the opportunity to serve alongside our international partners (in this case, Kabuganaan Philippines Ministries), CBM field staff and/or national staff, and alongside members of the local churches and communities where CBM is working, to assist in sharing the Gospel through Word and Deed. STM participants also have the opportunity to learn from the experience. Participants learn about their own faith journey, about serving cross-culturally, about God’s bias for the poor and marginalized, about the importance of community, relationships and working together, and they are challenged to read and consider the Gospel through a non-western cultural lens (just to list a few). Often times, we think that the most important part of an STM is accomplishing the ‘work’ or the ‘task’ that we came to do (in this case, helping to rebuild a church/community center) when in reality, the greatest impact (in our own lives and in the lives of those we come to serve and learn from) is found in the relationships/friendships we form and the community we are welcomed into and invited to be a part of (even if just for a short time). The group from Midland and Kingston Baptist understood this very well. Although they came to assist in the rebuilding of a new church/community center for the community of Hopevale, they did not neglect the more important task of building relationships/friendships and standing in solidarity with our sisters and brothers from Hopevale as they rebuild. 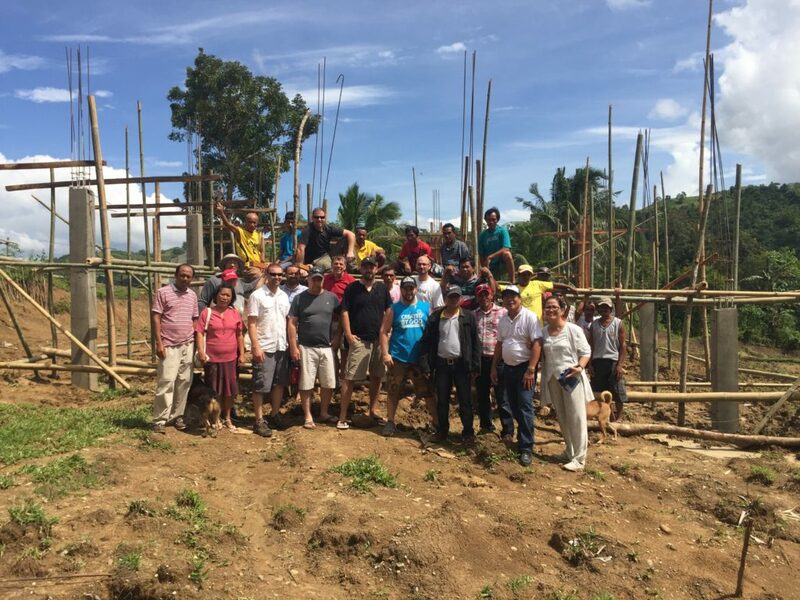 During our orientation time, before arriving in Hopevale, Pastor Job Santiago (KPM Director) challenged the group to prioritize ‘community integration‘ above the task of building the church/community center. In other words, he was telling the group to seize every opportunity to get to know people in the community, to participate in community activities, to experience the food and culture, to ask good questions, to listen to their stories, to tell our own stories, to share our lives with one another, and to look for the presence of God’s Kingdom in Hopevale. It was amazing to watch the bonds that were forming as the days went on. When the group arrived in Hopevale they were all strangers, but when the time came for the group to leave there were genuine friendships, a deep sense of community (despite different skin colour, different nationality, different language, culture, etc…). and an awareness that we are all brothers and sisters in Christ. One of the main jobs the team participated in was mixing concrete. Everyone took their turn carrying heavy bags of gravel and Portland cement, and mixing the ingredients on the ground until it formed a good consistent mixture. There are no cement trucks or mixers available in Hopevale so everything is done by hand on the ground. Pail after pail of concrete was filled, carried and dumped into the forms that were made out of Coconut wood and supported by Bamboo scaffolding. The concrete posts are reinforced with rebar to make them stronger. Pastor Job is celebrating the hard work of the group as they mixed concrete and helped pour the concrete into the posts. Some of the team members joined in on the celebration. These sweet children meet every morning in the Childcare Center to receive an early childhood education. You can see a few of them holding New Brunswick flags that a couple of the team members (Jen & Glen) brought with them to share with the children. The group brought some school supplies for the children (pencil, eraser, paper, ruler, face cloth, tooth brush, tooth paste, etc.) that had been gathered by the congregations of Midland and Kingston Baptist. This little guy is a regular student at the Libas Childcare Centre (KPM operates 4 childcare centers in poor communities). Is he adorable or what? The cross seen above was erected in the woods near Hopevale where 12 American missionaries were martyred by Japanese soldiers during their invasion of the Philippines during WWII. We took time early one morning to hike to the cross and share in a time of reflection and prayer with a number of local community members. It was a very moving experience that we will not quickly forget. We also visit the place known as ‘The Glen’, which was a secret place of worship in the hills of Hopevale where the American missionaries worshiped God and prayed, while they were in hiding during the Japanese invasion. Some of the guys had the opportunity to try their hand at plowing with the Karibau (Water Buffalo). I think they all agreed that this is hard work. Many of the farmers rise early in the morning (when it’s still dark) to begin plowing their fields and they work until night fall, often times with mud up to their knees because of the heavy rains during the rainy season. We were blessed to have Adrian Gardner (CBM’s Discipleship Programs Facilitator) join the group. Adrian is responsible for CBM’s short-term mission program. His presence and experience added so much to this team. One of the purposes in Adrian coming was to explore future opportunities for STM’s to the Philippines. We had the opportunity to sit with Pastor Job & Phoebe Santiago (KPM Directors) one afternoon and began talking about a variety of opportunities that exist for CBM to support the ministry of KPM through short-term mission teams. If you are interested in exploring a future STM opportunity to the Philippines, or to any of the other places where CBM is working with partners around the world, please contact Adrian at agardner@cbmin.org. He would love to hear from you! You can also learn more about how you can get involved by visiting CBM’s website.